We love waggy tails! Our walks are enjoyable for all dogs! 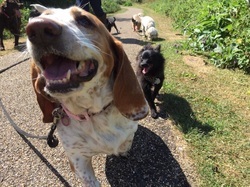 Wether your dog likes a gentle stroll with well mannered older dogs or a run around with other high energy dogs - we can provide the best dog walking service to suit your dogs requirements. Our walkers don't simply walk the same path in the park, day in, day out. 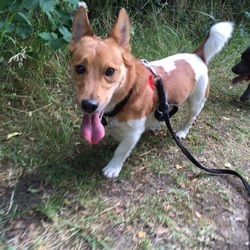 We enjoy hour long walks in many Enfield and Chingford parks to mix it up! Weekends and Bank holidays are extra. first training session with our trainer. We offer group walks which are great for socialising young puppies with older friendly dogs. If your dog prefers to be alone, we can offer 1 free house visit instead where a carer will see to your dog during the day.